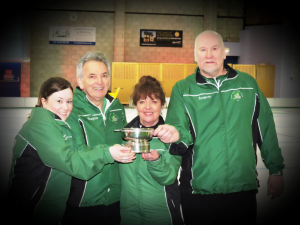 Ireland will be represented at the forthcoming World Mixed Curling Championships by Johnjo Kenny, Marie O’Kane, Tony Tierney and Jen Ward. We will have an update on the team’s preparations shortly. 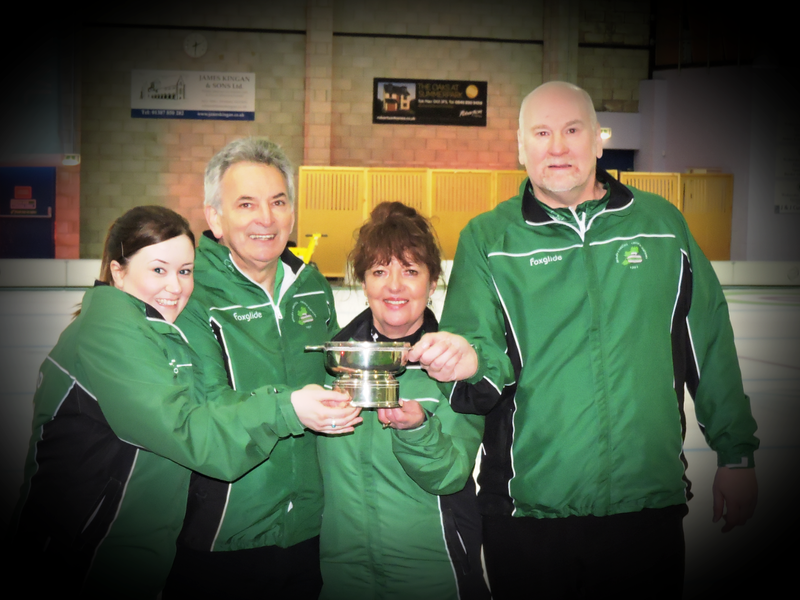 Berne, Switzerland – The inaugural World Mixed Curling Championship will begin a week on Saturday (12 September 2015), in Berne, Switzerland, with teams from four continents set to compete. This event replaces the European Mixed Curling Championship, which was last held in Taarnby, Denmark in September 2014. That Championship was won by Sweden, while Norway and Switzerland picked up Silver and Bronze respectively. These three teams will return for this year’s new event and will be joined by Australia, Canada, Israel, China, Kazakhstan, New Zealand, Brazil, Japan and United States, which are the teams that have entered from outside of Europe. With 24 sessions of round robin play scheduled for the first six days (Saturday 12 to Thursday 17 September 2015) competition will be fierce. The round robin will be followed by a tiebreaker session, if necessary, a qualification round and quarter-finals on Friday (18 September 2015). The top teams from the four groups will all qualify directly to the quarter-finals, while the teams that come in second and third will enter a quarter-final qualification round. The semi-finals will be played on Saturday (19 September 2015) morning followed by the Gold and Bronze medal matches at 15:00 local time (CEST). The Gold medal game will be broadcast live. The Championship is an open entry event for all World Curling Federation (WCF) Member Associations. Each Member Association could enter one mixed gender team, consisting of two male and two female athletes. The nine teams in Group A are: Belgium, Denmark, France, Ireland, Italy, Lithuania, Romania, Slovakia and Sweden. The nine teams in Group B are: Australia, Canada, Spain, Finland, Germany, Israel, Latvia, Norway and Wales. The nine teams in Group C are: China, Czech Republic, England, Kazakhstan, New Zealand, Poland, Russia, Slovenia and Switzerland. The nine teams in Group D are: Austria, Belarus, Brazil, Estonia, Hungary, Japan, Scotland, Turkey and United States. World Championship curling will return to Switzerland later this season, when Lucerne will host the World Wheelchair Curling Championship 2016 (21-28 February). The city of Basel will stage the World Men’s Curling Championship 2016 between 2 and 10 April. Further details can be found here:http://worldcurling.org/events. Results, statistics, news and photos from the World Mixed Curling Championship 2015 can be seen here on the WCF’s official event website: http://worldcurling.org/wmxcc2015.